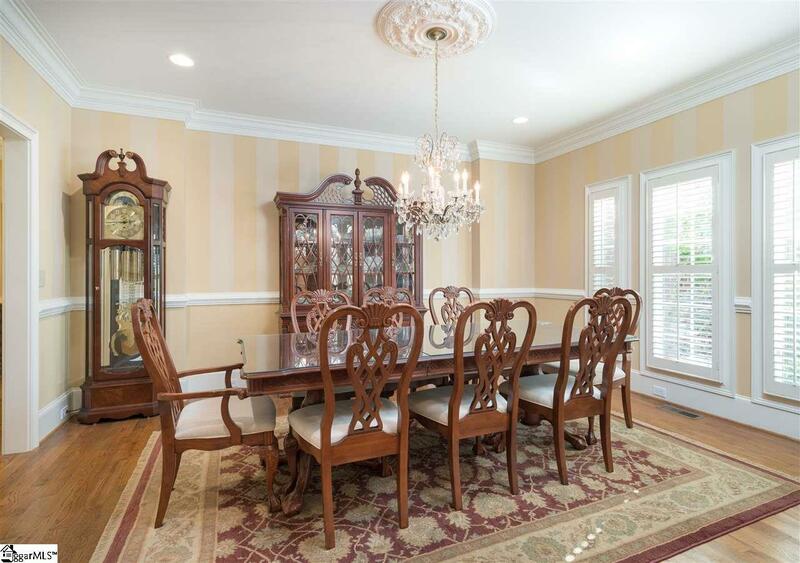 Updated executive home in sought after Thornblade! 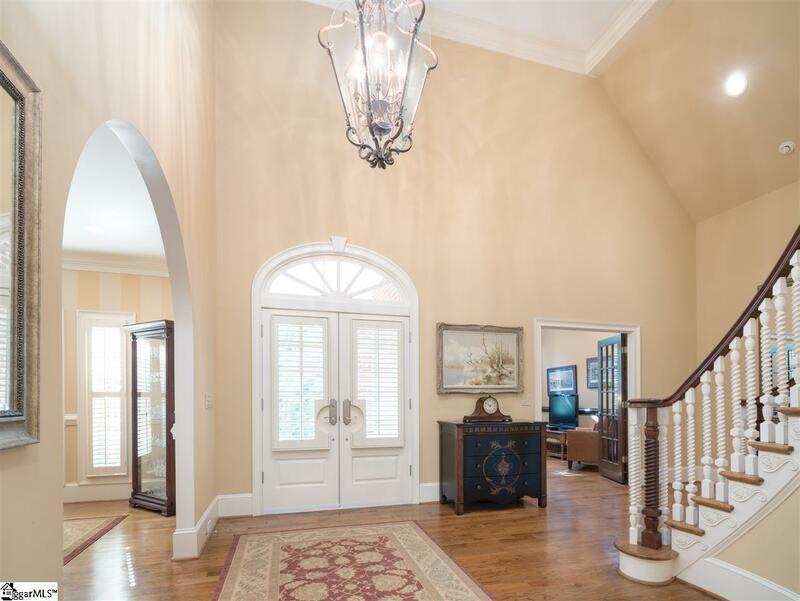 This all-brick traditional stunner features a 2-story foyer with beautiful circular staircase. Quality touches abound in this home's thoughtful, open floor plan perfect for entertaining groups of all sizes. 9 ft+ ceilings. Generous master suite on the main level offers separate sinks, his-and-hers closets, separate tub/shower and sitting room with wall of built-ins. Living room with wet bar and gas fireplace overlooks beautiful patio and level, landscaped backyard. Private office/study off foyer with 14-foot ceilings. Gourmet kitchen with updated appliances and breakfast area opens to large keeping room all freshly painted! 3 additional bedrooms, 2 full baths, a bonus/flex room and generous storage round out the upstairs. 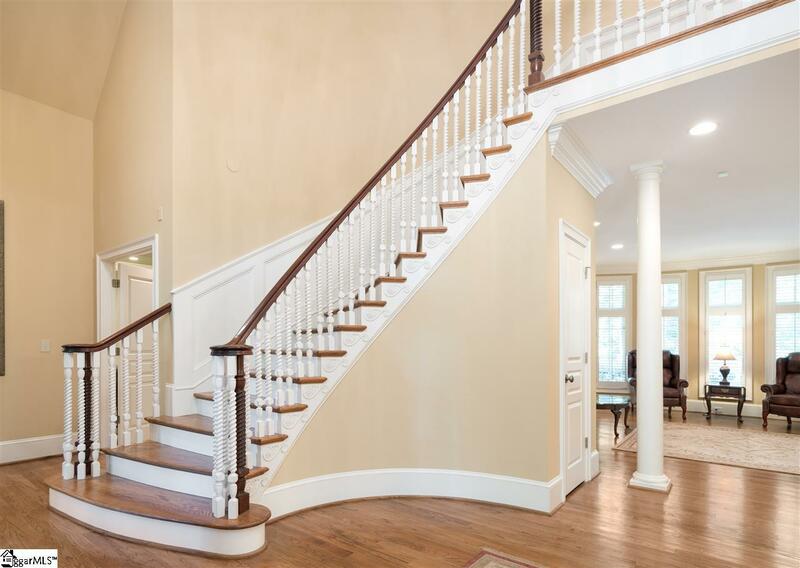 Upgrades galore, including custom plantation shutters, gorgeous built-ins and crown molding, a new roof, new 6-inch covered gutters, instant hot water, 3 HVAC units (1 new), 4-car garage, second staircase and so much more. Easy access to I-85, shopping, restaurants, great schools and the areas best Country Club (host of the BMW Charity Classic) offering world class golf, tennis facility and pool. Schedule your showing today!